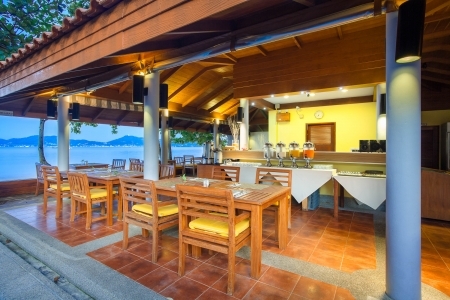 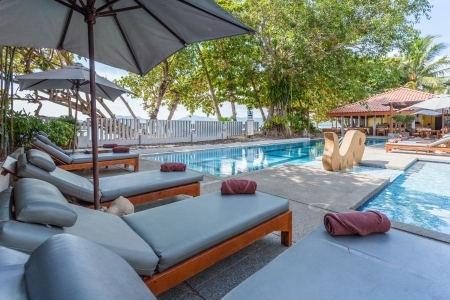 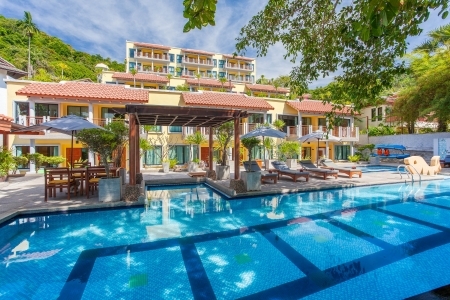 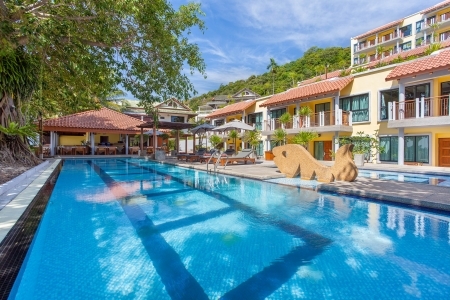 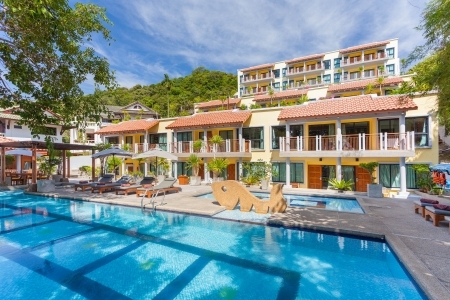 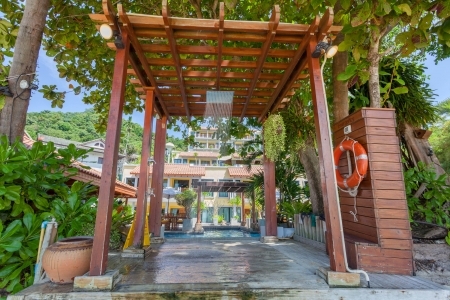 By The Sea Phuket Beach Resort Panwa Beach Phuket Welcome to By The Sea, a tranquil hideaway on the beautiful beachfront of Cape Panwa, Phuket’s best kept secret. 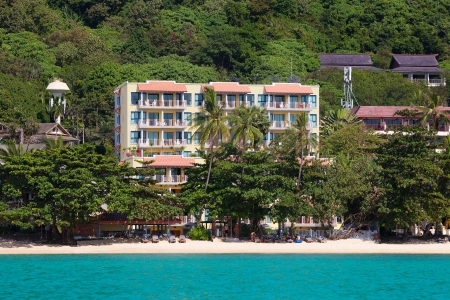 The location of our luxury Cape Panwa hotel is spectacular, on a peaceful peninsula overlooking the turquoise Andaman Sea and the alluring lush mountains of Southern Phuket. 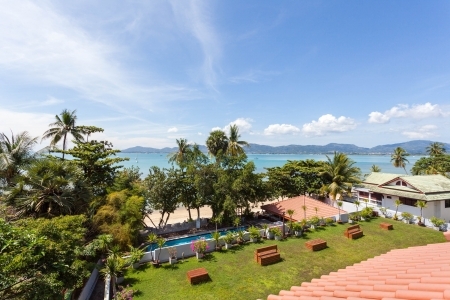 As the walk way to beachfront is down hill, it may not be suitable for the people who age 65 years old up or disable persons to walk by theirs own. 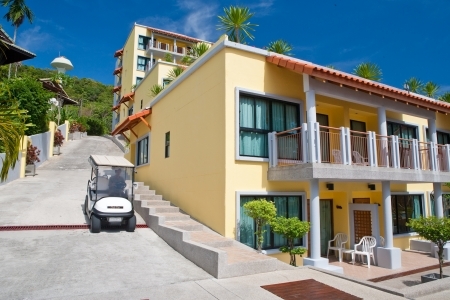 Please inform us for the buggy service at the reception. 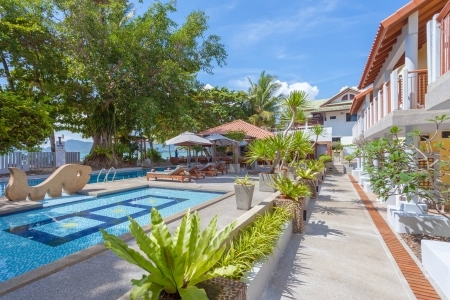 Our Phuket beach resort is private and romantic ideal for honeymooners to escape from the world in comfort and style with magnificent sea views available from almost every room. 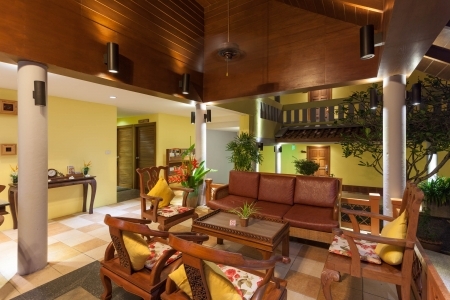 Our spacious hotel rooms in Phuket are colorful and unique, designed for more than just a holiday, with a fully furnished living room and kitchen as standard. 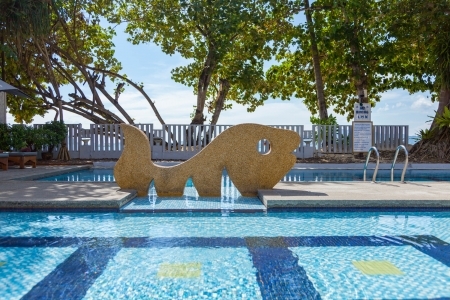 Take a dip in our refreshing swimming pool, sunbathe on the sand, and enjoy the delicious cuisine from our all day restaurant and bakery. 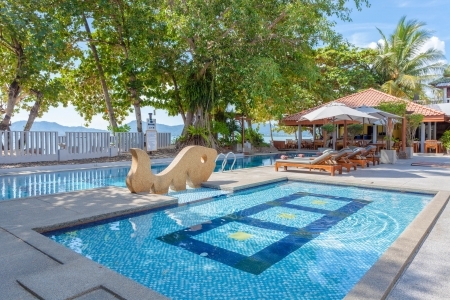 The waters are calm all year, ideal for families with young children to play safely right in front of the resort. 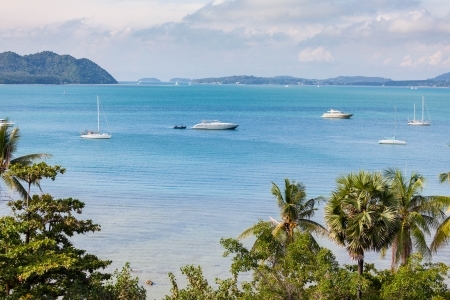 There are many activities at our Cape Panwa resort from kayaking and snorkeling off the beach to island hopping in a speed boat. 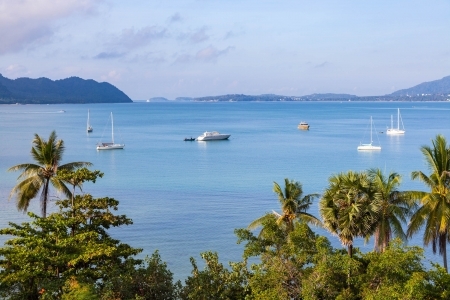 Let us show you the natural beauty of real Phuket!